As sales professionals, we spend a great deal of time attempting to create value for our prospects. 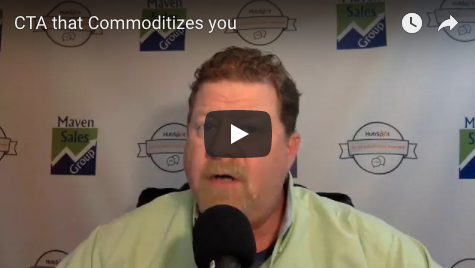 One of the main reasons for creating value is the desire to avoid getting commoditized by your prospects. As a Sales and Marketing Consulting firm that has been focused on the SaaS market, we see this commoditization trap capture our prospects and clients far too often. Therefore, since we've been asked about it so much, I decided to share my thoughts via a video... ENJOY!! !